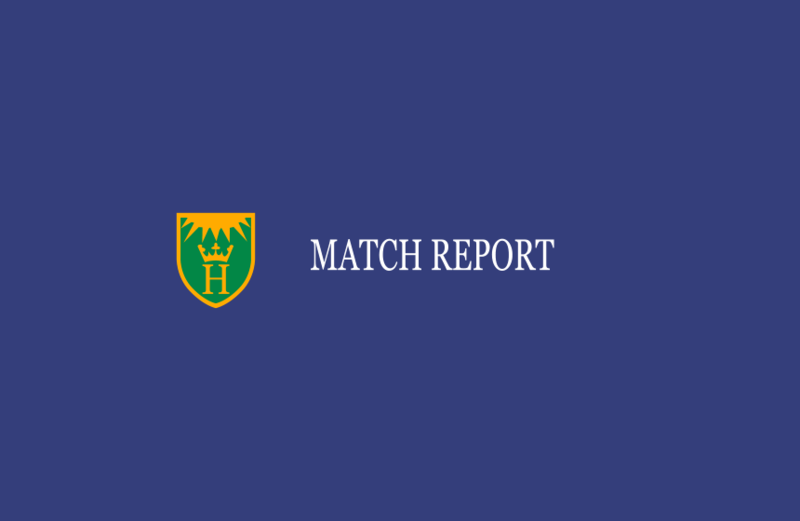 Attempting to bounce back from last week’s loss to Aston Rowant, Henley again found themselves on the wrong side of a closely fought contest away at Oxford, in which the home side’s Mohammed Ayub scored a brilliant 108 to chase down Henley’s 216. Despite having set a par score on a wicket which was not easy to bat on, Henley’s ill-discipline with the ball, some missed chances in the field and the ineffectiveness of the away-side’s normally reliable spin-quartet allowed Oxford a chance to seize the day. Although credit must go to Ayub for a match-winning knock, Henley will know that their skills yet again let them down, a scenario which they will not want to repeat if they are to mount a comeback over the next few weeks. Overcast and wet conditions met both sides at the John Hill Sports Ground, the temporary home to Oxford CC. However common sense prevailed and as the clouds slowly lifted, the toss quickly ensued and having won it, Henley elected to bat. This decision looked to have perhaps been the wrong one initially, as three quick wickets fell for only 19 runs. Rowe was the first to go, missing a swinging ball to be bowled for a golden duck, before Woods followed the very next delivery, caught softly at midwicket off the erratic yet seemingly effective bowling of Simon. Having safely negotiated the hat-trick ball, the in-form Morris soon went to work and briefly with Roberts, the pair appeared to have quelled Oxford’s early successes. However Skipper Roberts son departed, being caught and bowled again off Simon, which meant Rishton entered the fray a little earlier than he would have anticipated. However both he and Morris combined nicely and began rebuilding the Henley innings. Combining staunch defence with some attacking intent when the opportunity allowed, both batters demonstrated that with some application and patience, a big total was potentially on the cards. The pair passed the hundred stand with relative ease and looked set to make match-defining contributions. However on 47, Rishton fell softly, caught at mid-wicket, before Morris was caught at cover just one run later off the bowling of young Humphries, also in a soft manner. The disappointing nature of the dismissals from all five top-order batters will need to be rectified if such collapses are to be avoided going forward. Nonetheless Barnes and Williams began rebuilding again and both were able to rotate the strike effectively, with Barnes hitting some useful boundaries off the spinners. Unfortunately, however, Barnes was then dismissed in similar fashion to Morris, and with only Brock combining with the ever-developing Williams (33) towards the end, the away side stumbled to 216 all out off 49.5 overs. Although not reaching the ideal total, Henley would have been confident of defending what was set. However in order to defend this, their skills in both the bowling and fielding departments would need to be on the money. Nugent struck early, having Eltham caught by Woods at mid-off, before Dickinson and Tong-Jones combined to build a steady second-wicket partnership. Afridi however was too good for the latter, bowling him with a ball which would have got many players out, before Rishton struck twice in quick succession to have Dickinson (bowled) and Perkins (LBW) on their way back to the hutch with the score on 45-4. At this stage, Henley looked set to charge through Oxford’s middle-order. However Ayub illustrated just what an important player he is for Oxford, playing the spin masterly and not allowing anyone to settle. He was joined by young Nutt, who helped to resolutely hold up an end whilst Ayub plied his craft. The pair put on 146 before Nutt was caught at cover by Roberts off Afridi for an important 40. From this point, Oxford only required 27 and despite losing a further two wickets, were always in the driving seat and passed Henley’s total with an over to spare. It was a case of what could have been had Ayub been dismissed earlier, as you sensed watching that without his innings, Oxford may have fallen well short. However, credit must go to Ayub and Oxford, who will be a hard side to beat during the course of the season. Henley only have themselves to blame and they will be eager tune up their usually unfaltering skills to ensure they close out games such as this, and Rowant the week before, during the course of the season.